On Earth Day, Bandidas Taqueria is hosting a community fundraiser, student art show, and sidewalk festival in support of RAVEN Trust's Heiltsuk campaign. 100% of the profits from the sale of food and drink on April 22nd will be donated to RAVEN Trust, an organization which helps indigenous communities fight for environmental protection by offsetting their legal costs. Last year, we supported RAVEN’s Pull Together campaign, which supports First Nations’ fight against the progress of the Kinder Morgan Pipeline. This fund has raised over $600,000 (that’s $400,000 more than this time last year! ), and is still in need of support. The campaign is currently waiting for the ruling from court challenges that were heard last October, and are expecting that no matter how the judge rules, they’ll be going back to court on appeal. (Read more about where this campaign is at here). For Earth Day 2018, we’ve decided to support the RAVEN Trust “Step up for Coast Heroes” campaign for the Heiltsuk Nation. The Heiltsuk Nation is still dealing with the aftermath of an oil spill from October 2016 near the remote community of Bella Bella. 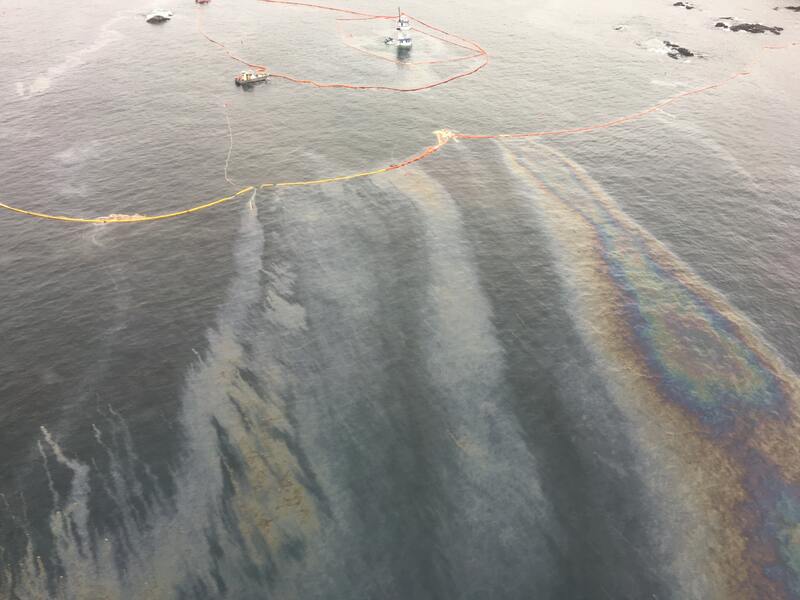 They’re taking legal action in order to recover damages to their economy, environment, and way of life, and to provide an in-depth examination of the state of Canada’s oil spill response system. If this case is successful, the oil company at fault would be held financially responsible for the full extent of damage, and major lasting changes could be made to Canada’s spill response program. Read more about the case here. Bring a crew to eat at Bandidas on April 22nd--all profits will help the Heiltsuk Nation defend their coast and influence national oil spill response policy. Six classrooms from four East Van schools are working on environmental-themed art pieces that will hang on our walls as of Earth Day weekend. Check out the show from last year. We’re working with almost twice as many students this year, and are very excited to see what the students create! Victory Gardens will be setting up a seed and seedling sale in front of the restaurant. Proceeds from their sales will go to support The Classroom Gardener, an organization that supports teachers and students by facilitating a school garden educational experience. The Earnest Ice Cream truck will be parked out front. All proceeds donated to RAVEN Trust. Also in our neighbourhood: March up Commercial Drive on April 21st, for the 8th annual Earth Day Parade (our food truck will be there!). We invite business and individuals to partner or donate with us. Partnering can come in many forms: offering music or activities for the sidewalk festival, money or products to boost the fundraiser, publicity, and much more. Contact bandidascommunications@gmail.com with any ideas and to get the conversation started.